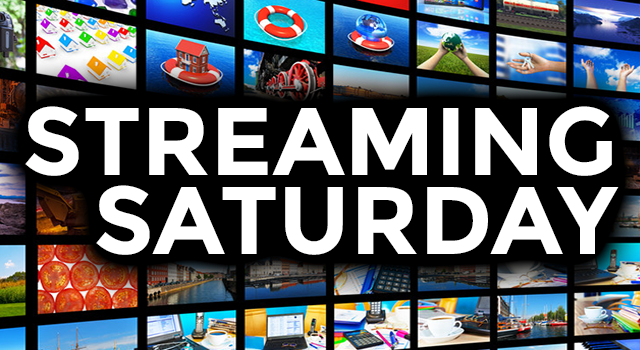 When it comes to these Streaming Saturday posts, I try to guide you toward entertaining films and series. Well, I just watched a great Netflix original movie the other night. It’s called The Highwaymen and it stars Kevin Costner and Woody Harrelson. This movie allegedly tells the story of Frank Hamer and Maney Gault, the men who helped bring Bonnie and Clyde to justice. In its 132-minute run time, this film raises some very interesting and somewhat troublesome questions that make for great discussions. Let’s unpack some of this, shall we? If you’re not squeamish or easily offended by cinematic acts of violence, you can check out The Highwaymen trailer. Remember, you’ve been warned! Most people my age (Generation X) have at least a passing notion of who these two people were. If you don’t know, Bonnie Parker and Clyde Barrow were a notorious couple who went on a crime and killing spree across America during the Great Depression. Their reign of terror came to an end on May 23, 1934, thanks to the efforts of Haney, Gault, and four other lawmen. Yes, I realize this can be considered a spoiler of sorts; but, like I said, most people have at least a passing knowledge of Bonnie and Clyde’s story. The couple have a glamorized status, thanks to America’s continuing love of outlaws. Keep this in mind because it is plays a big part in what helps make this Netflix film so powerful. There are two very powerful questions that The Highwaymen asks of its viewers. The first thing it forces viewers to consider the fine line between justice and revenge. Without giving too much away, it begs the question of whether Hamer and Gault were defending themselves against Bonnie and Clyde? Or was the shooting of Bonnie and Clyde a case of vigilante action by six men hiding behind badges from two states? Many who watch this film will have their own interpretation of what happened on that fateful day of May 23, 1934. The Highwaymen asks another important question and it does so in a very subtle way. You can’t watch this movie and not ask why America has a love affair with outlaws and killers. The movie shows how Bonnie and Clyde achieved folk hero status during the 1930s. In his own subtle way, director John Lee Hancock was critical of this. 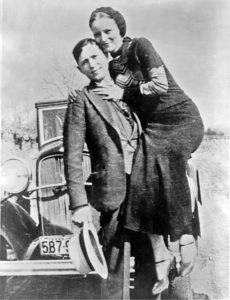 The few short scenes that actually feature Bonnie and Clyde portrays the couple as cold-blooded murderers rather than “Robin Hoods” that others claimed them to be. What is with America’s fascination with killers and criminals? There are many websites, forums, and other pages are dedicated to discussing true crime and criminals. Also consider the many individuals and small groups of people who are “serial killer groupies.” These people regularly communicate and even visit convicted criminals in prison. The Highwaymen’s treatment of this subject matter subtly asks the question of whether “outlaw admiration” is healthy. It’s hard to watch this film and not have an opinion one way or the other. I know I like to sometimes wax poetic about the deeper meanings, themes, and sub-text of film, I get that not everyone wants to be so meta about things. Some people just want the pure escapist fantasy and entertainment that a good movie provides. That’s cool, too. If you’re someone who just wants to see a good movie, The Highwaymen delivers. If you’re looking for entertainment, there’s enough action, drama, and suspense to keep most viewers entertained. Although I shouldn’t have to say this, I will: considering this film’s subject matter, it’s not for everyone. It’s probably best to put the kids to bed before you dig into it. I love to hear when anyone decides to quit shelling out the big bucks to local cable companies. That said, there is no reason can’t keep rocking your TV antenna and stream Netflix and other popular streaming service providers such as HBO Go and others. The technology in home entertainment has evolved to that point. As your source for all things cord-cutting, Solid Signal can show you how to stream affordably alongside your free local TV channels. You might have heard me talk about the DISH AirTV Player before. I often mention it in this weekly column because it provides cord-cutters with an excellent streaming option. If you get the AirTV Player, you keep your antenna and all the free local TV it delivers. It’s just that you have the option of adding Sling TV’s national channel lineup and any other streaming service you wish to have, including Netflix. Best of all, your AirTV Player puts all of this programming on one convenient menu. Look, I could go on and on about the AirTV Player’s many benefits but I’d rather you talk to the real experts. These are the techs who work in Solid Signal’s customer service department. If you’re a cord-cutter who wants to add streaming into the mix, you probably have some questions. The experts in our US-based call center are the best people to ask. If you want to know more about streaming with an AirTV Player, give us a call at 877-312-4547. We’re always happy to help.